Hey Guys, finally Moto X is released into the Indian Market through an Online Store Flipkart. Moto X is the only smartphone that can talk. The Best Phone available with complete user friendly specs in an unbelievable price. Google has the capability to defeat Apple with is mind blowing advancements in every aspects of its design process and technology adaptations. The success of Iphone is not because of its specs, but it is due to branding Popularity of Apple. 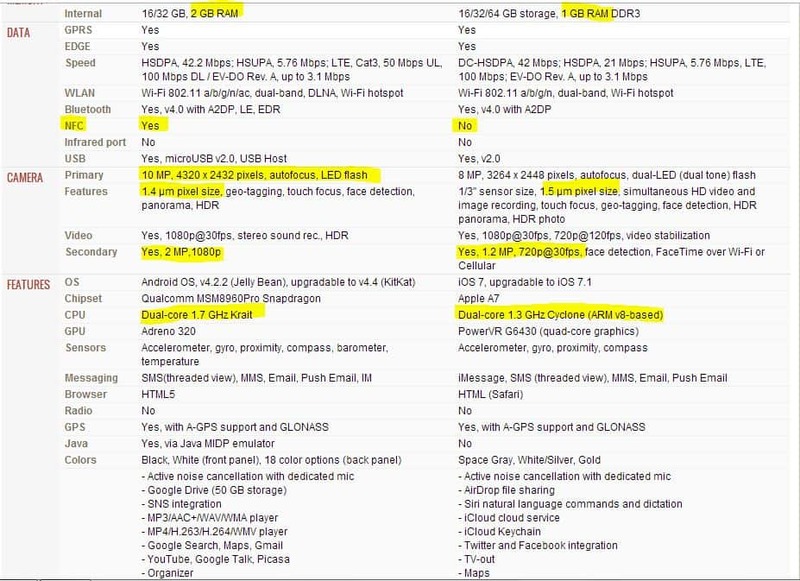 If we compare the specs of Apple and Moto X (Google Phone), you can see a major difference in all the aspects of how Moto X can supersede Iphone 5S. Practically speaking, do you think is it necessary to spend Rs 50000 or $1000 for a smartphone? 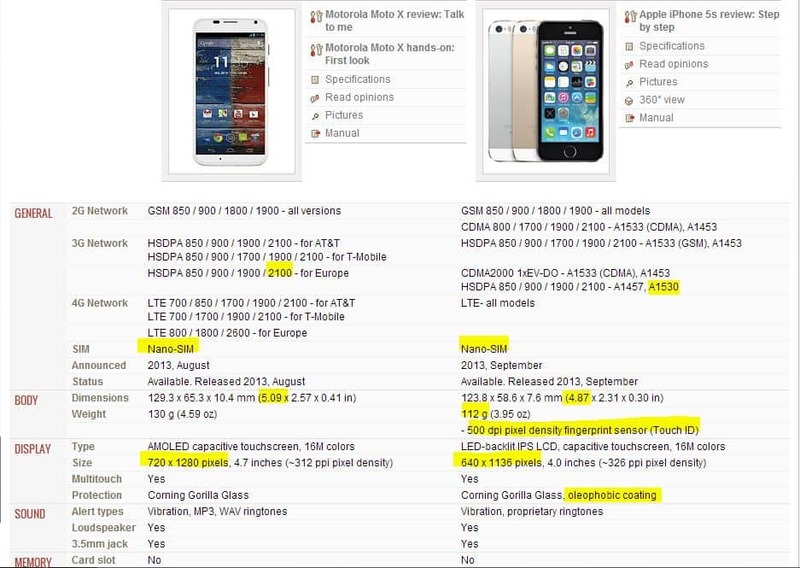 So lets compare how Moto X can defeat Iphone in all its user specs and design process.. The important features were highlighted in the below comparison. If you see the above comparison, Except the Fingerprint Sensor, were Apple is using this new piece of technology as an innovation to keep its brand name bit higher. But cracking the security is not so difficult in the present era were everything is possible. I dont feel finger print sensor could change the world. The best things which i found as very valuable in Moto X is its voice recognition, which will be activated with a voice note “OK GOOGLE NOW” , Activating the camera with a Turn and Moto Assist are the best features. These features will be posted individually in separate sections for better understanding. The complete review of Moto X and Individual reviews regarding Battery performance, Quad Core GPU, Camera Quality and Voice recognition and Moto Assist will be updated individually. 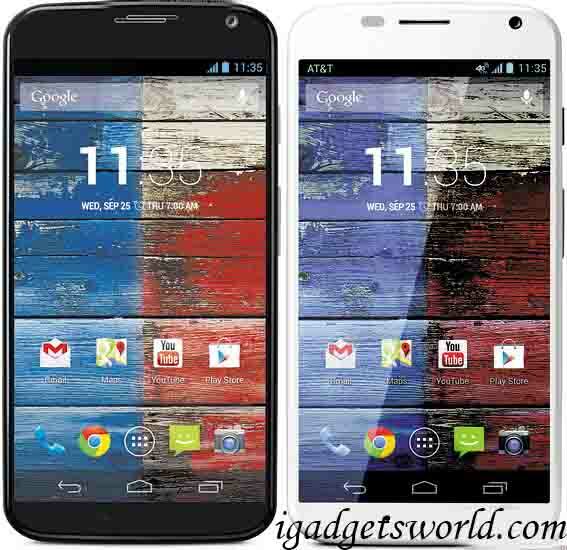 If you are planning for a Best smartPhone with better user acceptance and interface at a budget of 23k, go for Moto X.